Hey y’all! I was on vacay last week so I’ve been slacking with blogging again, but I’m back, and I had a fantabulous time! I visited San Juan, Puerto Rico. It was an awesome vacay. I was the ultimate beach bum and I loved every minute! So, during a trip to the local Walgreen’s, I wandered into the cosmetics section. I mean hello, you can’t not check out the cosmetics to see what they have that we don’t when visiting some place new! I’m a nail polish junkie, so that’s where I started browsing. 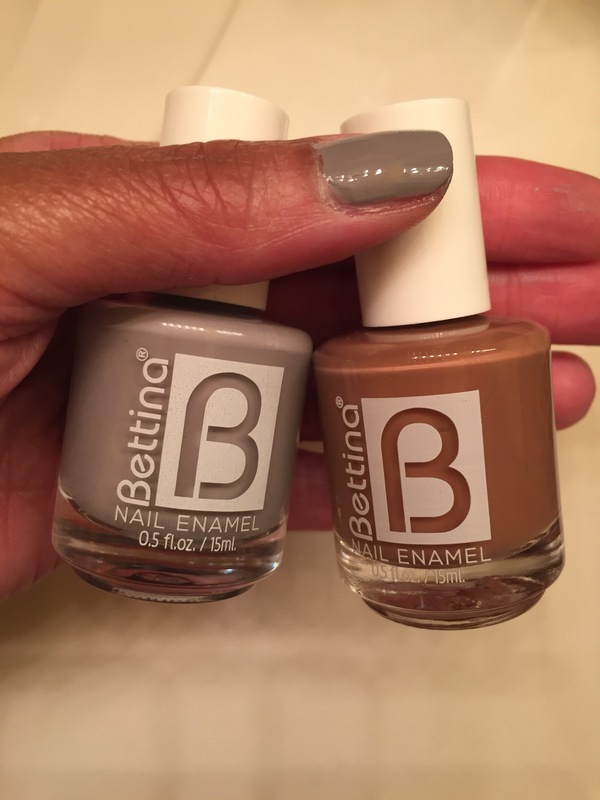 I found some beautiful colors from a company called Bettina. After further research I found that they’re a Puerto Rican company, and you can order online, which I’ll be doing soon! I only bought two colors and now I’m so mad that I didn’t buy more! They were only about $3 each. The one on the left is called delicate and the one on the right is called carmelita. I’m wearing delicate in the picture. Tonight is my first time trying them out so I can’t yet speak on longevity but I’m loving everything about the polish so far! From what I can tell on the website based on price point this line is similar to a Wet ‘n Wild. Besides nail polish they’ve got, well pretty much everything! Check it out and let me know if you have either heard of/tried this brand before or if you decide to shop!